Created specifically for U.S. Customs and Border Protection, the new Glock G47 is a newly developed model adopted this week by the agency. 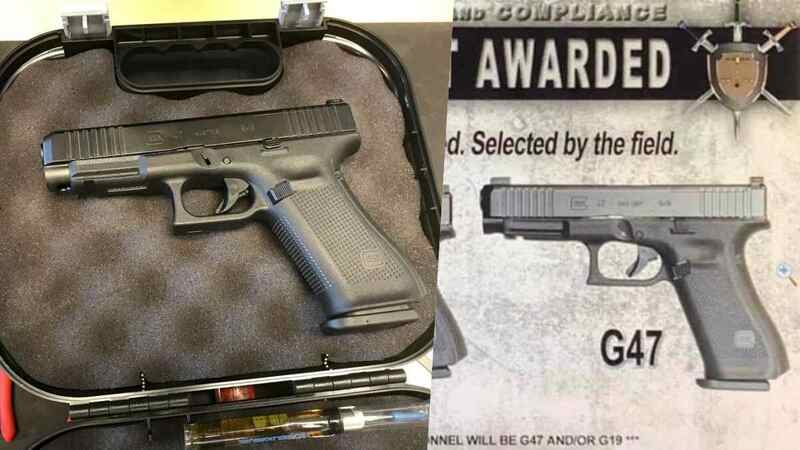 News of the model, which resembles Glock’s 5th Generation G45 series, was leaked just after CBP announced the $85 million contract award, prompting the Georgia-based company to issue a press release clarifying how the new gun fit into its catalog. In short, the Glock 47 is a crossover design that incorporates a full-sized G17 MOS-style slide with a G45 frame and other features. The company has an incomplete landing page for the G47 with no information on the model posted but noted Thursday that it was developed for the CBP solicitation and is not available to consumers. Nonetheless, the company is proud of being selected by the Department of Homeland Security’s largest law enforcement arm. Notably, the new 9mm Glocks will replace Heckler & Koch P-2000 models that were adopted 15 years ago. The move by Glock to create new, exclusive models for large law enforcement agencies is not new. In the past, the FBI adopted the Glock G19M, while overseas German police have adopted the G46. Neither are available to the U.S. commercial market. In addition to the G47, two other models of Gen 5 9mm Glocks — the G19 and G26 — were also selected to complete the CBP contract. The company advises that all three models feature a flared magwell for faster magazine changes, the match-grade Glock Marksman Barrel (GMB) for enhanced accuracy, and Ameriglo BOLD sights. The handguns all have extended magazine floorplates, presumably for better access to strip away magazines in the sandy, dusty conditions that CBP officers and agents often find themselves on the Southern border. As reported by The Firearm Blog, the G47 has full parts interchangeability with the G19.